Loft conversion services provided by Renovation Mates. Our company offers reliable and affordable loft conversion services in London. If you want to make some renovations in your extra space but you find it difficult to find time to do this, we are introducing you our outstanding loft conversion services that we offer in London. We are absolutely sure that we can transform your space in a fast and excellent way. We rely on a team of workers who are capable of performing all the procedures that are required for ideal loft conversion. We can make an excellent project for your room as we cooperate with the most reliable experts in the area. We are equipped with all the instruments and machinery that are required for the renovations in your extra space. We are positive and cheerful and we will demonstrate you professionalism and full loyalty within the loft conversion that we offer. Apart from all the procedures that we are able to provide we can offer you a wide range of designs for your choice. We will give you invaluable advice and we will make an excellent and effective plan for your loft conversion. 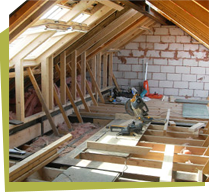 We are encouraging you to choose our loft conversion – it is implemented by a team responsible workers. They have been all qualified in the best way to deal with every situation without difficulty. We will discuss with you every detail that concerns the design and the renovation of your space and we promise to take into account your preferences and requirements. Come and explore all the benefits from our loft conversion. We use very innovative procedures and approaches to achieve ideal final results from our work. Our equipment is only of a first class quality because, for us, perfection matters. Whenever you need professional loft conversion, do not hesitate to pick up the phone and to book it with our company. You will have the chance to benefit from our exclusive offers and reasonable prices. We would love to collaborate with you in a friendly and effective way so hurry up and make a contact within our outstanding customer support centres that work during the whole week.